This range of sheeters is designed to provide high performance with high cut quality. The technology of this construction satisfies the operator’s request to have a very simple way to operate on the sheeter under all working conditions, with easy change of both format and production parameters. Milltex created the variable geometry on the cutting unit to fit the cutting angle to different paper or board type for the achievement of the best clearness in the transversal cut. The Syncroflex Digi has a cutting range between 210 mm length and 600 mm length. The machine is equipped with pocket to collect the ream and a pincers for the ream exit. A transversal conveyor belt is positioned in front of the pincers to collect the ream and to transport the same in left or right way. This machine is studied to have 2 different formats contemporarily. The 2 transversal cutting units can be of the same width or different width. 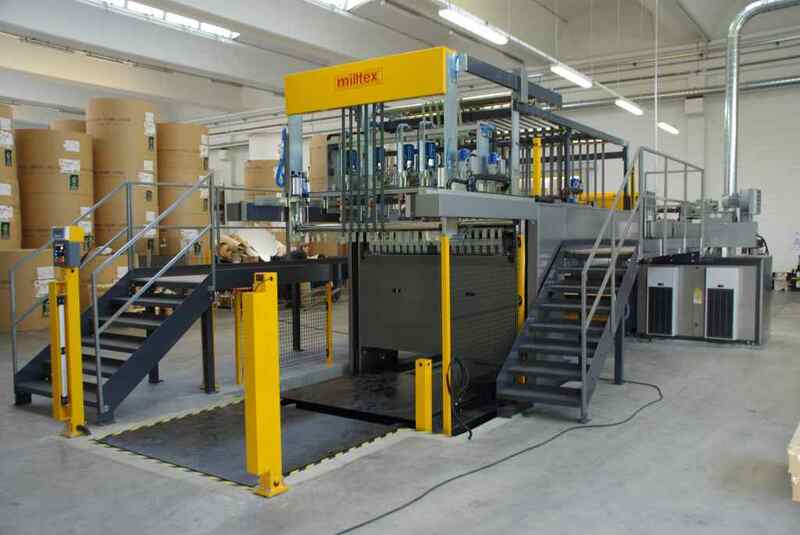 The pallet with different formats are auto levelling automatically with a hydraulic system. Sheeter direct drive with only one cutting motor. 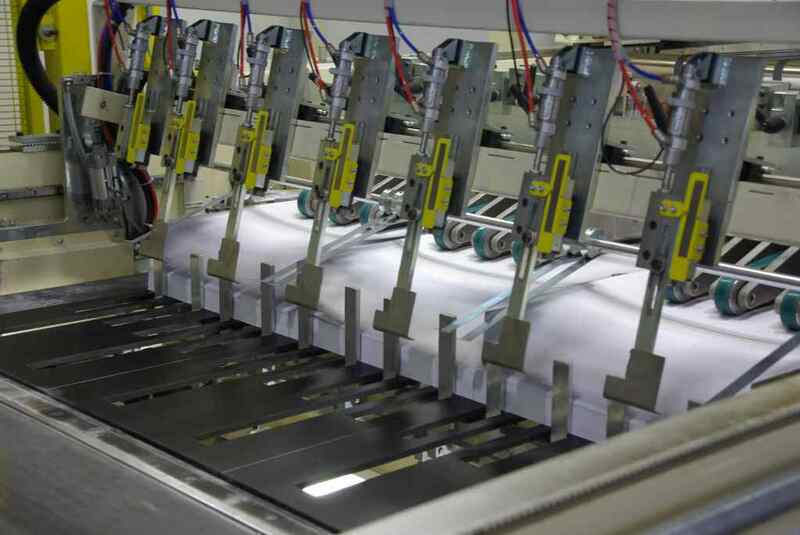 This sheeter is designed for paper and board with a studied flexibility to have a maximum performance also For the small formats and when the production request small quantity per format. 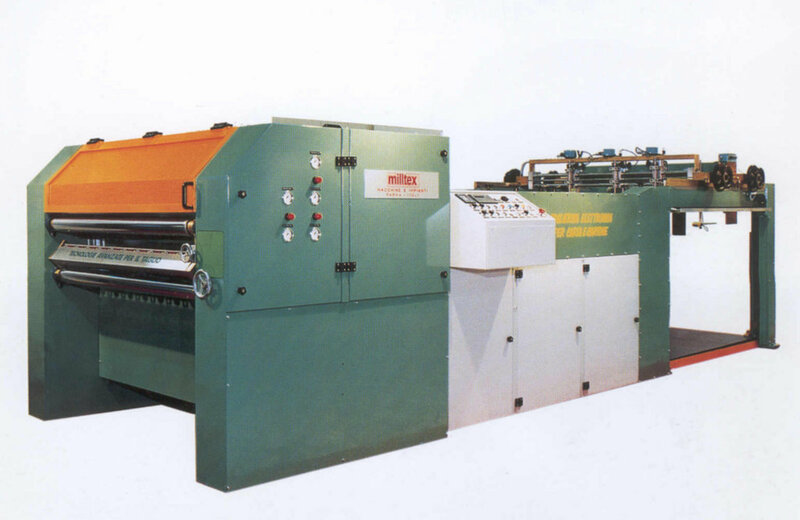 The flexibility of this sheeter is important for the range of format and for the fast time for the format change. Normal format (from 500 to 1600 mm). 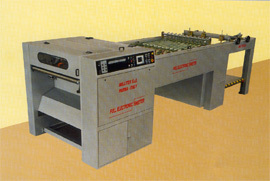 This formats are cut with the same Milltex technologies that are used in the SincrMaster sheeters. Milltex has created a sheeter structure easy to install without foundations and with all needed electronic equipment inside of the structure. 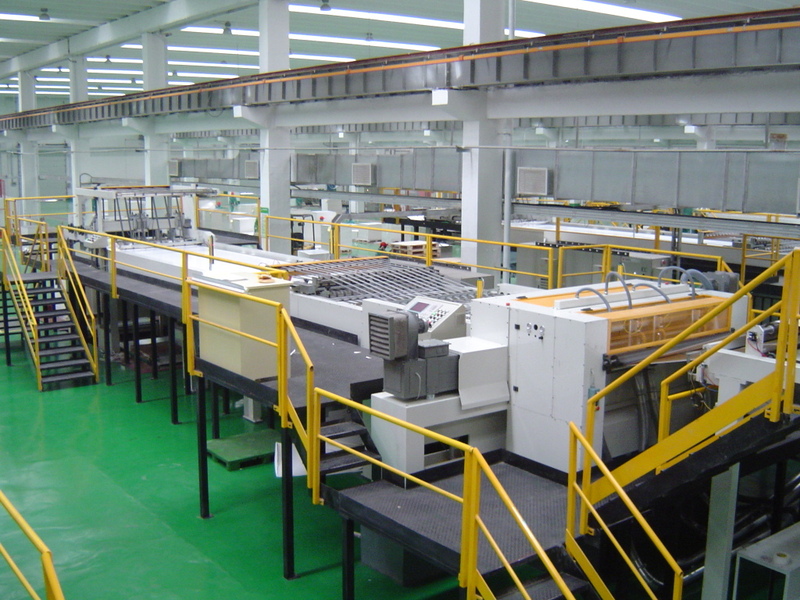 The electronics components are extremely reliable as repetitive for the cut precision as the duration in the time. The motorization are in A.C. for whose without maintenance, controlled from an inverter at field oriented. The sheeter mod mod. SILVER-ONE is the result of technological progress ripened with years of experience in the field ,joined with all shrewdness able to make the sheeter operational flexibility and fit to cut as little quantity as big quantity. In the point of view to manufacture a sheeter fitted to all surroundings Milltex has created a monobloc-structure easy to install without foundations and with all needed equipment on board of the sheeter. The electronics that equip the mod. SILVER-ONE is extremely reliable as repetitive cut precision as the duration in the time. The motorization are in A.C. for whose without maintenance, controlled from an inverter at field oriented.